I have to admit, this weekend, I was so busy, I wasn’t even sure if I would have time to make anything new to showcase. With some improvisations on this recipe, I was able to finish this in reasonable time. 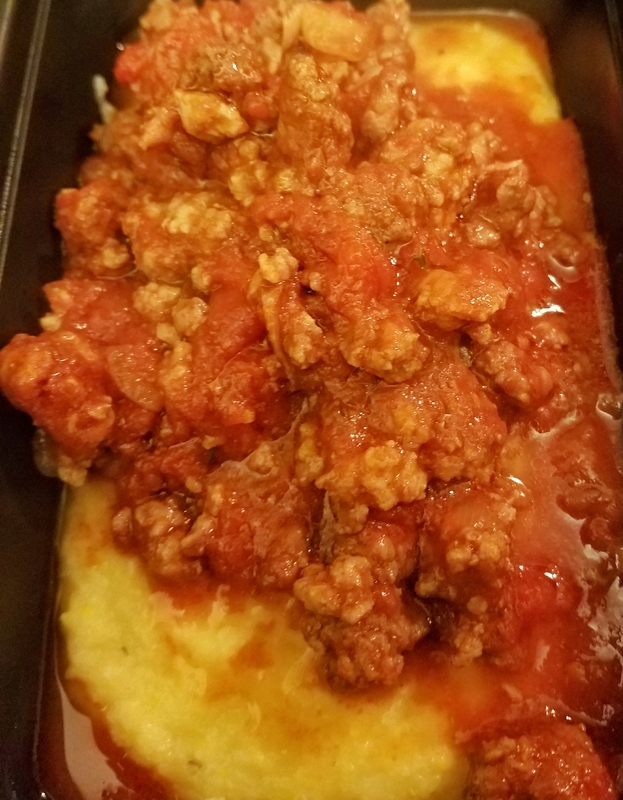 Where I improvised on the recipe was on the pork shoulder – I didn’t have one, and I didn’t feel like going to the store to get one. I did have a pound of each ground beef and ground pork though. Knowing that Ragu is just a fancy word (loosely translated) for meat sauce, I felt that this could be a good substitution. First I took minced garlic and diced onion and placed them in a hot pain with oil. Stir until the onion wilts. 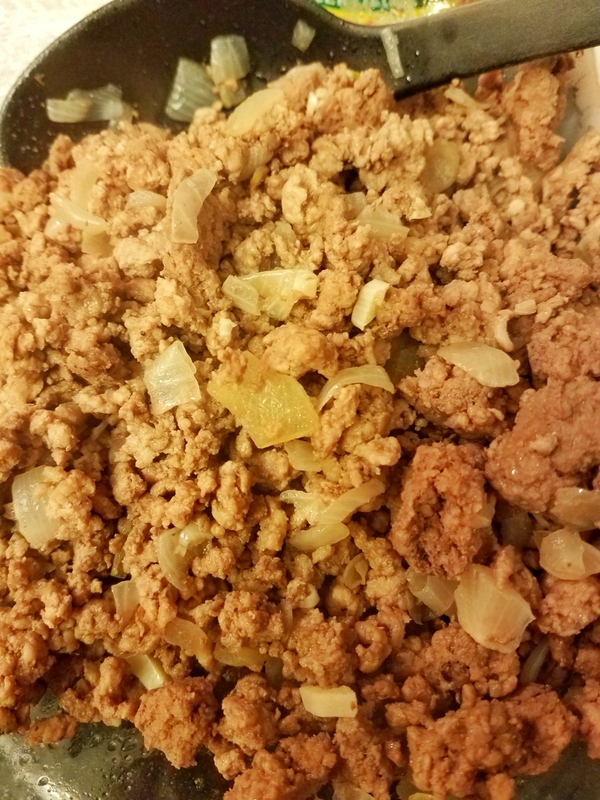 Add the ground beef and pork and cook until browned through. 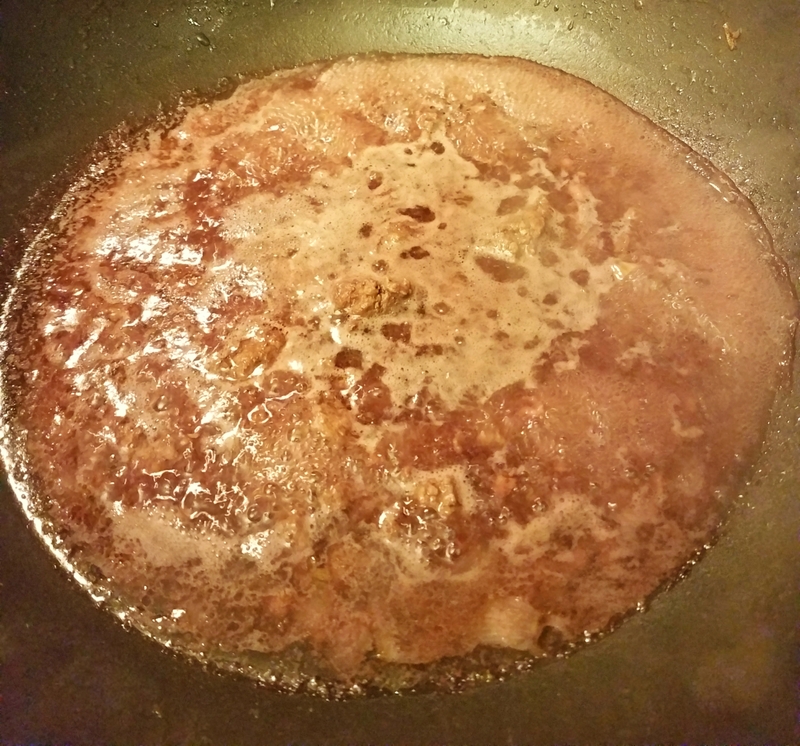 Once the meat is cooked, remove as much of it from the pan and leave the oil behind. Add the tomato paste to the remaining liquid and combine. Add the wine and cook it down until half of it is left. Add the tomatoes, crushing them with your hand as you add them. Replace the meat into the pan. 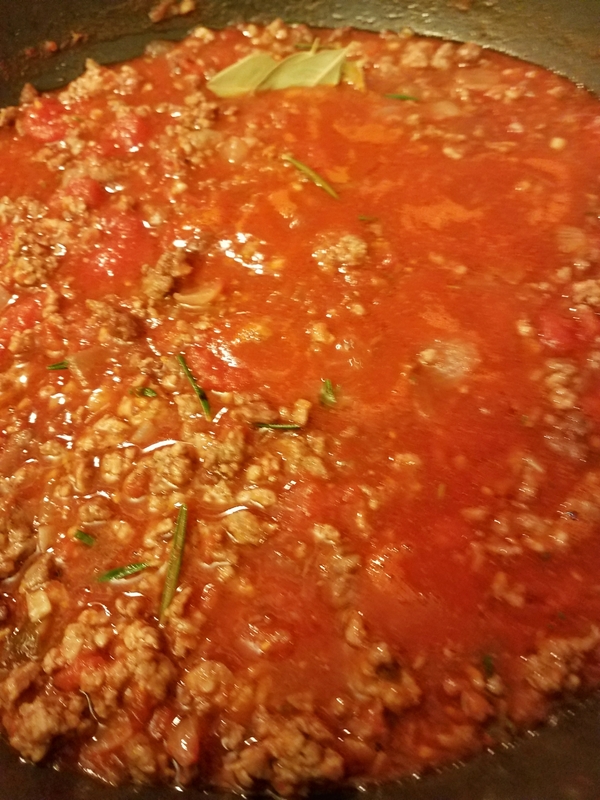 Since we are not using the pork shoulder but ground meat, I omit the water, but still added the thyme, rosemary and bay leaf. I continue to simmer for about a half hour. 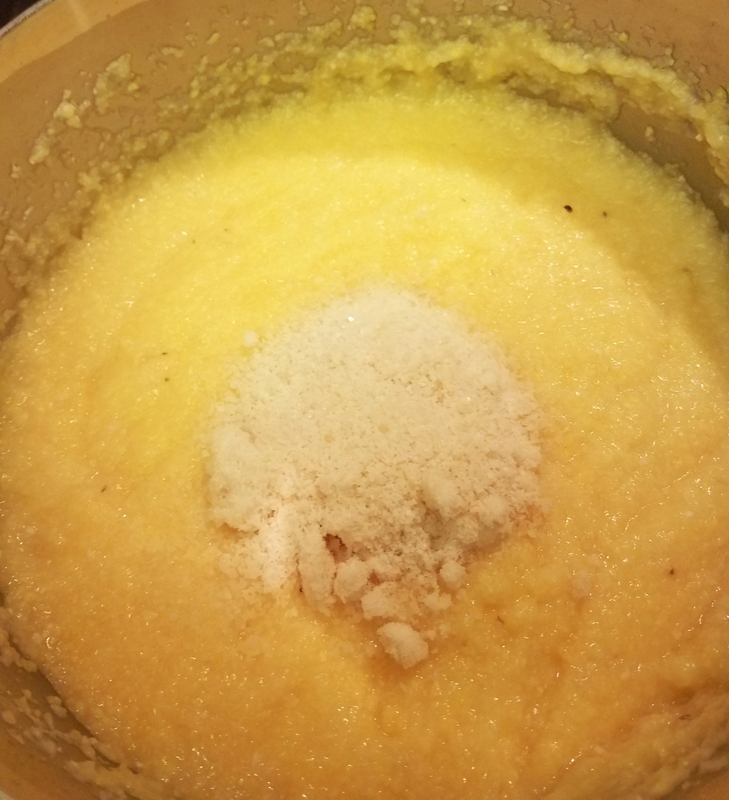 While that was simmering, I prepared the polenta. At first, I wasn’t so keen on making it, but its pretty simple and fast. Just whisk it into some boiling water, then when it thickens, add the butter and grated Parmesan cheese. When done, I spooned some in each of my containers. Well, that was it – all within a half hour and with a delicious aroma filling the house too!